With plenty of festivities for friends and family, July 4th kicks off summer in Windham. It’s also the time when Windham Foundation’s sponsored programs begin to roll out. 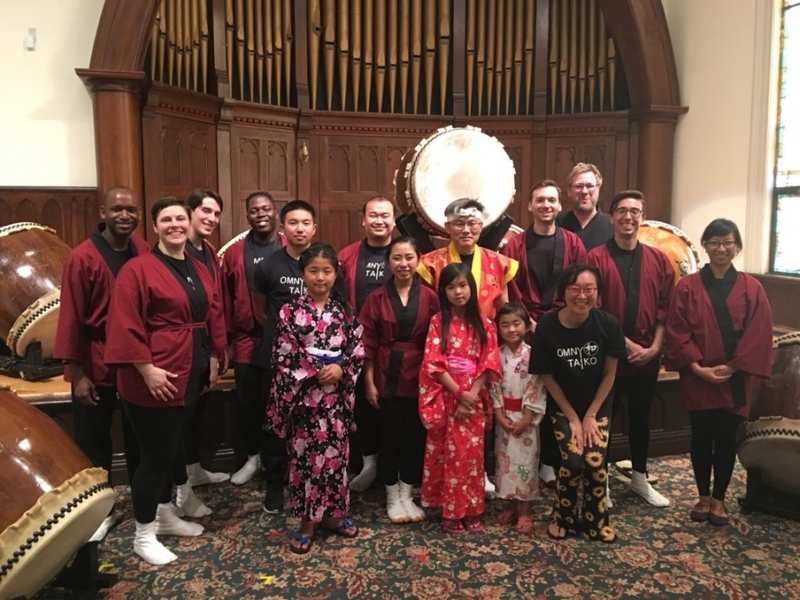 This year started off with the seventh annual concert by the OMNY Taiko drummers at the Windham Civic Center. The group, led by Grammy award winner Koji Nakamura, performed with an intensity and energy that moved the audience. As the audience cheered for an encore, the drums and harmony of the group echoed throughout Windham. The event grows with popularity each year and is truly a special treat for the community every summer. In addition to funding the Taiko Drum concert, the Foundation also contributed to group’s equipment fund. The weeks festivities continued with Windham’s annual July 4th Parade on Main Street. Fireworks followed at Windham Mountain, also thanks to a contribution by Windham Foundation. So as another 4th of July celebration ends, the countdown for next year’s concert and festivities begin again. The fun does not stop though, summer programs funded by the Windham Foundation continue to roll out, one by one beginning with the Sugar Maples Art Explorer program, followed by the Library Reading program, July 14 Gala concert at the Windham Civic Center, the Black Dome Music Festival, and the 23Arts concert, Swingin’ the Songbook on September 1, Labor Day weekend, featuring the Catskill Jazz Factory Collective.